Avery County Schools are CLOSED for students, optional workday for staff. Mitchell County Schools are CLOSED, schedule 3 workday for staff. Williams Academy Of Crossnore is CLOSED. Watauga County Schools are CLOSED for students, teachers, and all 10-month staff. 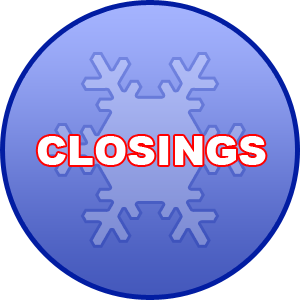 Ashe County Schools are CLOSED for students; optional teacher workday. Avery County Transportation will not run vans today. Avery County Senior Center not serving meals, congregate or home-delivered. Avery Lady Viking Soccer match scheduled for this evening has been cancelled. If you have a closing or cancellation call (828) 733-0188, submit it below, or email us at wecr@bellsouth.net and we will get it on the air for you.